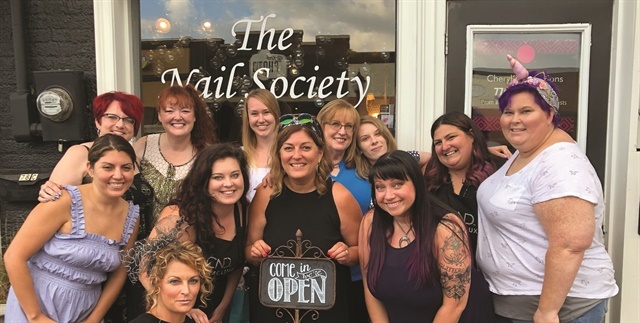 The NAILS team posed with the Nails Over Atlanta group and fellow Foot Forward attendees. Back row: Melissa Finch, Holly Schippers, Shannon Rahn, Michele Baker, Katherine Fleming, Kim Jones, RussAnna Dudley. Middle row: Beth Livesay, Emily Hitchings, Michelle Mullen, Nicole Franklin. Front row: Debbie Harris. 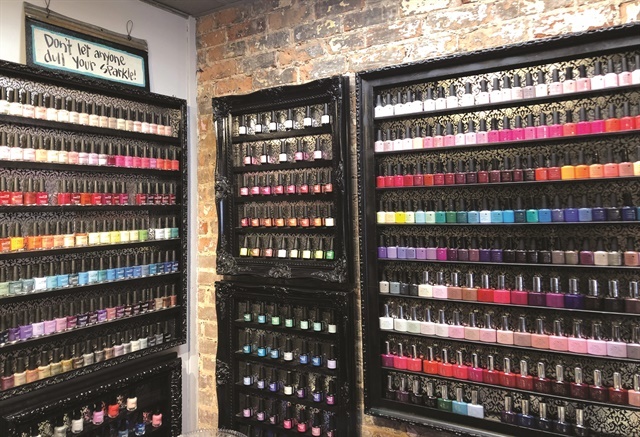 The three nail techs at Nail Society Salon are obsessed with nail art, color, and glitter. 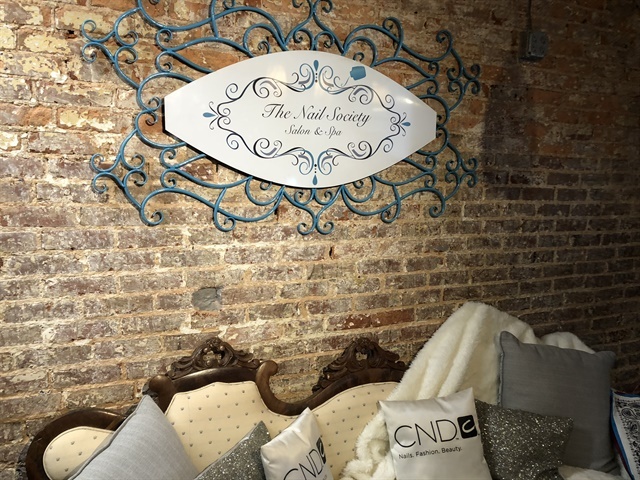 CEO Kimberly Jones is also a CND educator, bringing their lines into the salon. 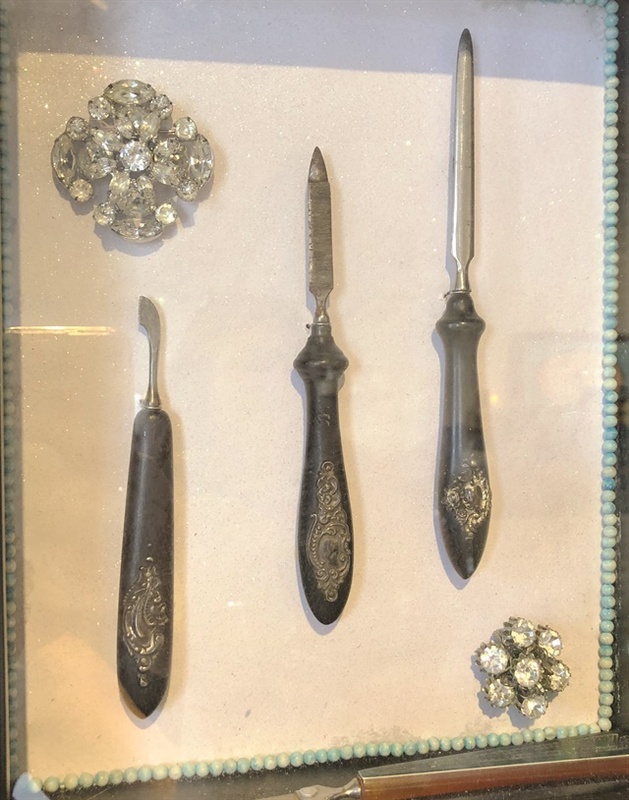 In addition to medals and fun photos lining the walls, this vintage manicure set is also used for decoration. The girls of the Nail Society posed for silly black-and-white photos that show their personalities. 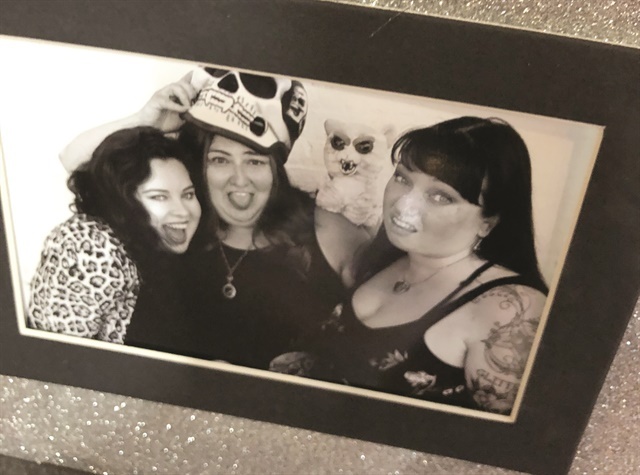 In this group shot: Emily Hitchings, Kimberly Jones, and Nicole Franklin. NAILS associate editor Katherine Fleming got gel-polish nail art from Nicole Franklin (@nailpolishwars). 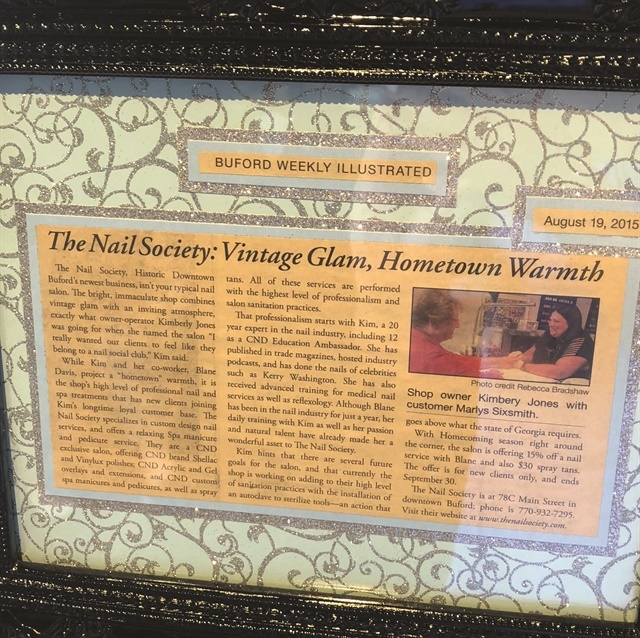 Located an hour outside of Atlanta, the salon has won the Best of Gwinnett award thrice and appeared in the local paper. See more @nailsocietysalon on Instagram.